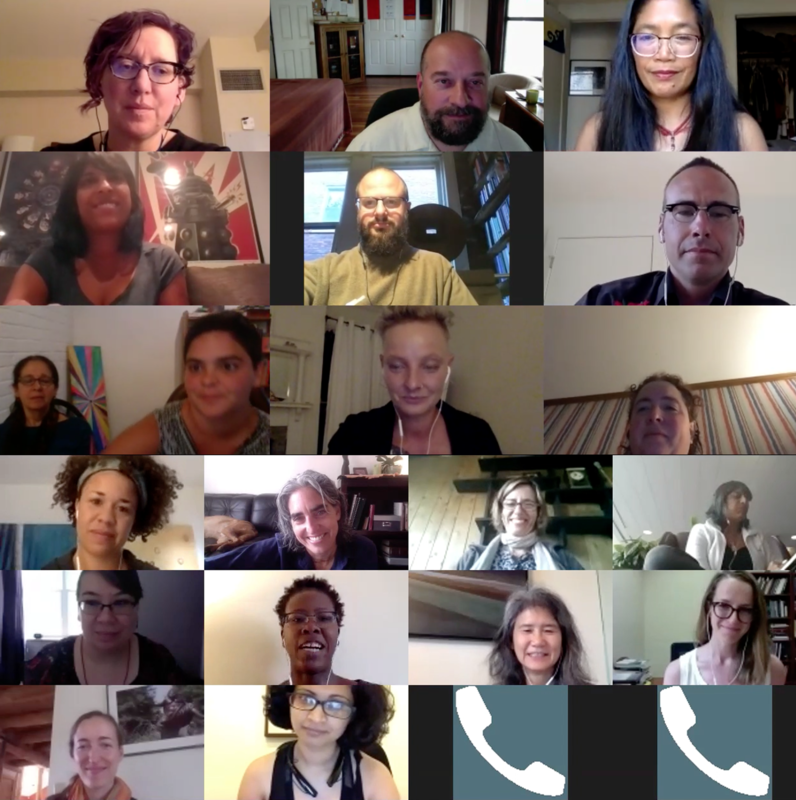 Think Tank participants include Shambhalians on the full spectrum of the practice path who are involved activism, social service, anti-oppression work, or related academic research and hold a variety of leadership roles in the Shambhala Community. This travel fund is for 12 of the 30 participants who expressed need for travel assistance, including several from Mexico, Europe, and Canada. The Shambhala Social Engagement Think Tank raises timely issues around social engagement in our community and world. Our aspiration is to create a vibrant network for social engagement in Shambhala and foster the ongoing development of prototypes and projects throughout the mandala. "To explore what Shambhala uniquely has to offer in terms of principles and methods of social engagement." The Social Engagement Think Tank is being organized in conjunction with the Shambhala Office of Social Engagement (SOSE). SOSE is a new international office that supports and encourages engagement initiatives in the Shambhala community. "Now is the time for us to manifest—to bring these principles into the world, to not just leave them in our shrine room and our practice pages. They cannot just remain as simple esoteric mantras. We need to be able to actually harness them and make them real." The Shambhala Social Engagement Think Tank is a gathering at Sky Lake Retreat Center, October 12-15th, to explore principles, strategies, and methods of social engagement based on meditative principles and the application of the four dignities. In the process, we will emphasize ways of supporting diversity and inclusion within the Think Tank and in Shambhala more generally. We hope to stimulate experimentation in social engagement throughout the Shambhala mandala, to promote communication and shared learning around ongoing projects, and support the newly formed Office of Social Engagement. The Shambhala Social Engagement Think Tank program costs are being covered by a grant through the Sakyong Foundation. The Think Tank travel fund is for those who expressed need for assistance. Travel assistance for 12 of the 30 participants, including several from Mexico, Europe, and Canada totally $2,570. Service fee of $180. Total of $2,750. This sounds wonderful! Thanks for doing this work! I'm fortunate to be able to support this good work. ❤ to all of you! Thank you for bringing this inspiring work in Shambhala forward. Bon voyage! Thank you for your good work. Best wishes to everyone involved. I want to support this fine effort! Ki Ki So So !! Really happy to see what y'all are doing! As a new Director of SHWB in ABQ, I'm also contemplating these same questions. I look forward to learning more about the collective thought and guides for action. Thank you for helping us be sensitive, empowering, and effective.